Editor's note: This is the third in a series of Flying Lines interviews with American pioneers of control-line Combat. James Mears was a one of a kind and one of the most interesting people to pick up a Combat handle. Unfortunately he left us August 2010, so I'll try to give you an idea of James through the eyes of other people who knew him better than I. Combat has produced its own color men, those who by nature are gregarious about living life and make us all the better for knowing them. James was a storyteller and a good one, too. It's a talent that endeared him to almost everyone he met. James was always in the thick of it as Combat flyers go. He raised his two boys that we know as Bobby and Andy and are his living legacy of excellence in Combat flying. In the old days they said, "The road to the Nationals runs through Lubbock." James was for sure one of the pavers on that road. Here is a brief overview of James as published in the Avalanche-Journal, August 8, 2010. James was a 50-year 32nd Degree Mason. He was past president, vice president and secretary of Lubbock Used Car Association and Lubbock New Car Association for many years. He was a member of NADA (Nation Automobile Dealers Association), AMA (Academy of Model Aeronautics) and ABC (American Bowling Congress). He held a National Record in 1973-1976 in NHRA (National Hot Rod Association). His hobbies included fishing, golfing, bowling, tennis, boxing, hunting, baseball, model airplanes and building resort properties. 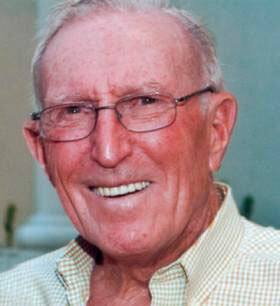 He was an avid car restorer and loved storytelling to his friends and family. See full obituary. 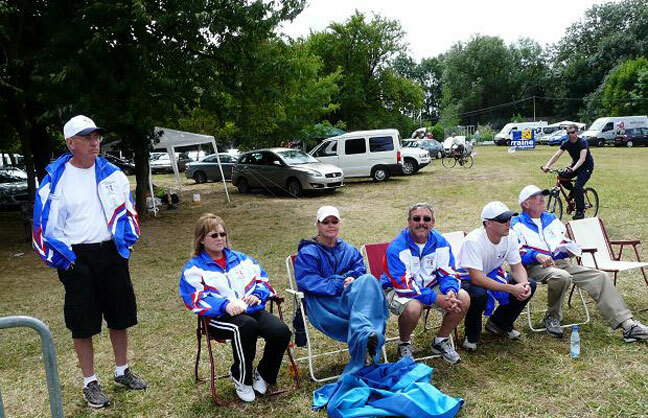 The Mears family at a world championships in France. The Carl Berryman article brought back a memory of mine that answered a longtime question for me. I didn't recall Carl flying with his hand at his hip, but when I read the article about that it answered my question. When I was about 14 I think, I drew Carl in a combat match. Carl came over to Dad was apologizing for drawing his son. Pop told him You just fly Combat, Carl, Bobby can hold his own." I remember saying ... SH.T Dad! This guy is a giant and really good. I don't stand a chance. Pop said just fly him like you fly anyone else. So the match started, we were flying level and I was scared shitless. Carl asks if I was ready and I said yes. We both started over the top with wing over's...AND I KILLED HIM!!!!!! Right at the top of the circle. The match didn't last two seconds. I got cheers and all that, but always wondered how in the hell I killed him at the top of the circle. I'm sure I wasn't over 5 feet tall, but knowing Carl had his hand at his hip, that tells the rest of the story. 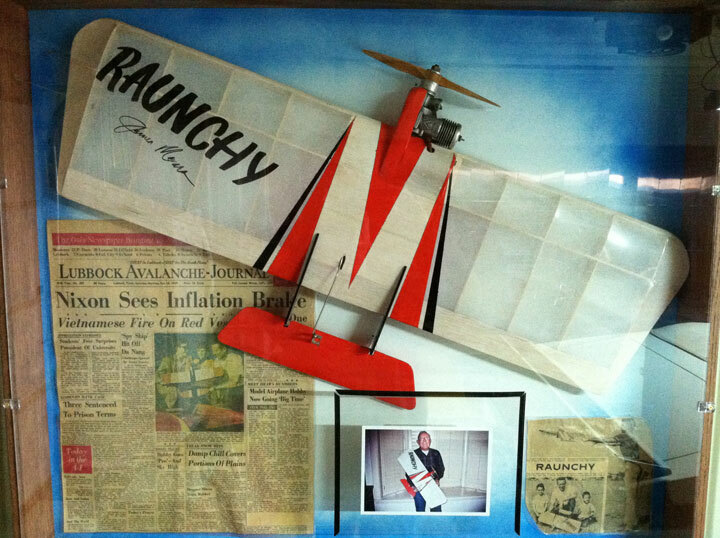 I would say the Raunchy was Pop's all-time favorite airplane in his Combat days. I recall him flying only that airplane when I was a kid. Andy and I flew them some too, but due to simple economics, and speed of building, Andy and I flew Demons and Sneekers more than anything else. Pop and Riley were best buddies and Riley sold Pop those kits cheap enough that Pop could afford for us to keep flying. I recall him flying some of his barn doors, and a few Slingshots, but the Raunchy was his favorite. Pop's all -time favorite motor was the SuperTigre. He got the Fox running great. But his statement about it was you could flip it, pour beer on it and it didn't make any difference, it wasn't going to start hot for two minutes. So the Fox was out. He saved the SuperTigre for last because he didn't think it would ever run right with the venturi over on the side. Plus it was heavy. Nobody else had one at the time so he didn't have much to go on. He did his normal tricks to it and we took it to the park to break it in. It would run about 30 seconds and seize up. He would cuss up a storm and take it home and lap the piston and sleeve again. Back to the park and it ran about a minute and seize up again. There goes the cussing again and back home and lap the piston and sleeve again. Next time to the park he put a 10/4 prop, cut down to a 6/4. I remember him saying that if it didn't blow up it will be a good one. I don't recall a single match that Pop ever claimed as a favorite. He seemed to enjoy them all. He talked about flying great matches with Riley Wooten, Howard Henry, Wayne Welch, Carl Berryman, Pete Jaden and Bentley Page. And he always talked about the clods for Chicago and the guys in Houston from back in the 60's. Back then it was a war between cities and states. Time cured that. Now we're all buddies. I think Pop just enjoyed flying. Whether it was Stunt, Combat, or Rat Race. He was just a model airplane nut. Andy and I were fortunate enough to have him share that with us. While at the Nats in 1999, I was also flying in the F2D team trials. 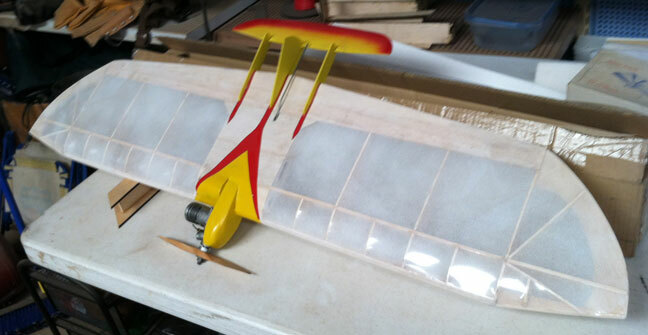 I had finished preparing my two airplanes and was watching an entertaining match between Tom Fluker and Allen Deveue. I was going to be on deck in two matches, so I started to walk to my box of planes which was on the ground next to the car. You see it was time for me to take off my soft hat and put on my helmet, which was kept inside the cardboard box with seven planes in it. I was about about to look into my box when I heard Here it comes. I stopped, looked up and to the left to find James Mears sitting on a raised deck drinking a beer. Then I noticed about 50 feet in the air was Fluker's cut-away plane finishing a wide circular pass, it flew straight into my box of airplanes. Timing is everything. With my earplugs in I had no idea that there was a flyaway in progress. If James had not said Here it comes. I would have continued into my box, bent over to grab my helmet, and the motor on Tom's airplane would have hit me square in the back of my head, thus saving my planes that looked like they had met with a giant eggbeater. Of course it would not have mattered at that point because I would have been too dead to fly them. Thanks for the Heads up, James. The man with the bullhorn came back and again James said We'll be along directly. We stayed there and watched the storm move to the north, drinking Odoul's and tellin stories with James. I went to the Southwesterns in Dallas in 1971 or so. James was flying against Bob Gieseke, the Stunt guy. Bob commenced to do the Stunt pattern. James caught on and pounced when Bob got to the outsides, killing him. I guess that's more of a Gieseke story than a James story. James was a grade school classmate of Buddy Holly. James told Buddy that Buddy had no future in music. A great friend who would do anything for me.. Wanted to be a tough guy but heart of gold. Born used car salesman whose stories got better every time he told them. Bob had some numbered (#231-version 622) We laughed a lot!! We were flying,Odessa, Texas, line tangle, started going around to untangle, wrong way -- let's reverse. Planes came apart going away from each other. I asked "You ready" he says "Ready as I will ever be." I killed him -- he yells "WAIT, I wasn't ready." Practice flying (for beer). He does split S, prop cuts grass on pull out -- I follow only my prop cuts more grass, killing engine. He goes HA, HA, HA easiest case of beer I ever won...With a big smile I say, What's behind your plane? The look on his face I will never forget. WE HAD SOME GREAT TIMES!